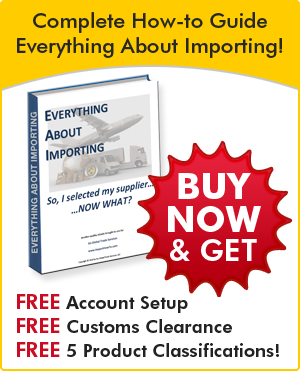 If you are shipping any goods into the US, they must be cleared by US Customs and Border Protection. US Customs recommends the use of a Customs Broker due to the complex requirements and complicated forms required to receive US Customs clearance. As a licensed US Customs Broker, Go Global Logistics acts as an agent for an importer or exporter and conducts Customs business on their behalf. We will perform all necessary steps to obtain US Customs clearance for your goods in order to get your shipments released and delivered to their final destination in a timely manner. Choosing a customs broker is an important decision and can often mean the difference between an on-time shipments and costly delays. In order to be a Customs Broker one must be licensed by US Customs and Border Protection, U.S. Department of Homeland Security. Specifically, a Customs Broker prepares and files the necessary Customs entries, arranges for the payment of duties found due, takes steps to affect the release of the goods in Customs custody, and represents their clients in custody matters. Go Global Logistics is a Boston headquartered Customs Broker servicing the Port of Boston Massachusetts, all of New England, and has customers across the country. A Customs Broker must have an excellent understanding of trade requirements and procedures and customs and tariff regulations. At Go Global Logistics, we are on the cutting edge and keep our clients updated with these frequently changing policies. We can advise on transportation options, types of carriers, and shipping routes and will also assist the client with exchange rates, appraisals, and proper classifications and duties, including all factors affecting appraisement and the many regulations concerning calculation of duties. Our operation often transcends Customs, calling for contact with over 40 other government agencies, such as the U.S. Department of Agriculture (USDA) on perishables importation, the Environmental Protection Agency (EPA) on vehicle emission standards or the Food and Drug Administration (FDA) on product safety. A Customs Broker must be aware of any potential problem involving every entry item represented, including cargo handling and other government agency requirements, so we work with each client individually to avoid problems and facilitate a smooth, efficient supply chain. In light of these fragmented and complex requirements, Go Global Logistics is the only logical choice for all of your supply chain and logistics needs. At Go Global Logistics, our combined experience in the field gives you the best advantage available. We are a member of the National Customs Brokers and Forwarders Association of America and our employees are the best in the industry. We pride ourselves on our attention to detail and our highly responsive customer service and are available 24/7 to answer your questions and resolve minor issues before they become major problems. If you are looking for the peace of mind that comes with having a Customs Broker you can rely on, the time has never been better to Go Global!